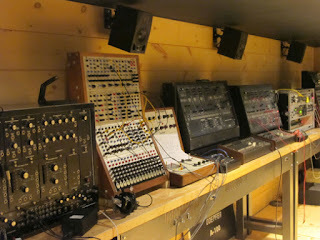 If I was an instrument I would be a modular synthesizer. 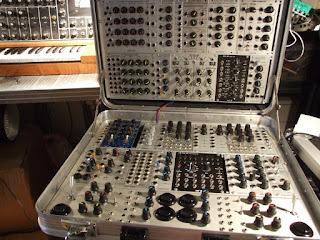 Modular synthesizers are very popular these days and, as is the way with these kinds of things, some don't like that. You know the kind of person. 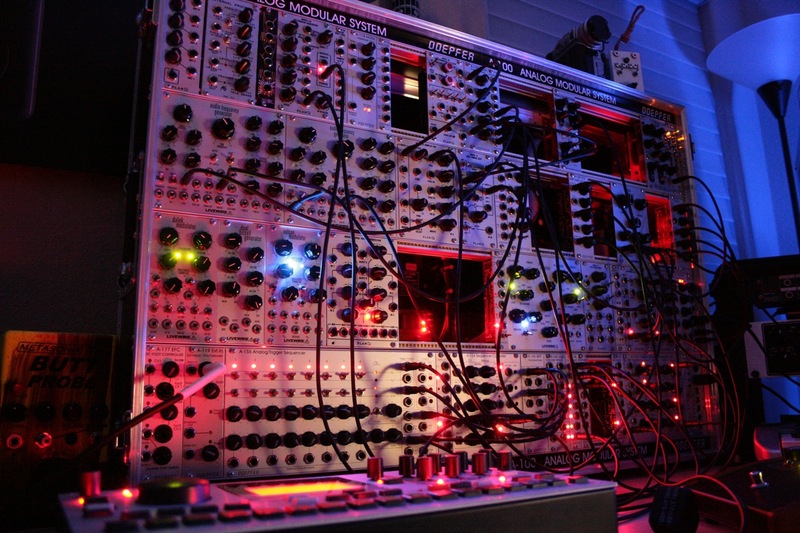 Someone who has been modular synthesizing for years and now feels threatened by the fact that other people have discovered his hobby and doesn't like it. This is the kind of person who will waste his time being sarcastic and derogatory about these new adopters of modular synthesis rather than concentrate on his own modular synthesizer and making music with it. 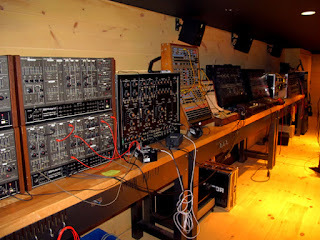 For these people it is as if modular synthesizing is a political thing and that you are not allowed to take part unless you have been let in by the esteemed circle of proper modular synthesists. "We can't have these newcomers infiltrating the modular synthesis ranks," they think. What they forget is that everyone, even them, started somewhere with no knowledge at all. So that, of course, is all a lot of rubbish. 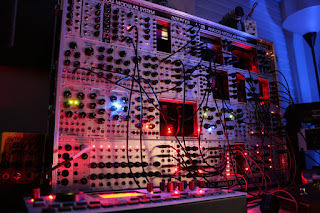 There is no inner circle of modular synthesis and you don't need anyone's permission to buy a modular synth, use a modular synth or even have a modular synth on your sideboard as a pretty ornament with flashing lights. Indeed, I once saw an interview with legendary synth pop guy, Vince Clarke. He recounted how, in the 80s when he became popular, initially with Depeche Mode and finally with Erasure, he bought every synth going, from keyboard models to full modular systems. In the video interview I saw he freely admitted that when he first bought these things he had no clue how they worked. He just knew he wanted them. So if you buy a modular synth with no idea how it works just because you think it must be cool you are only really doing what Vince did. And pretty much every synth person in the world likes Vince. 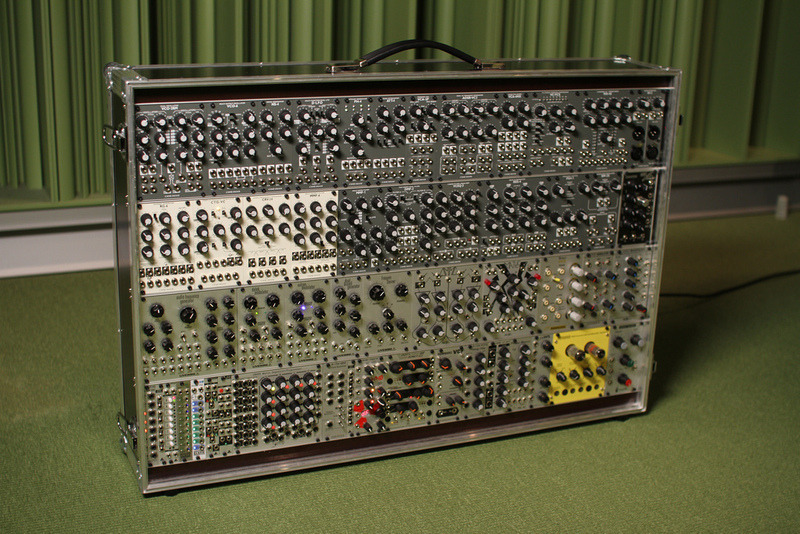 So what you really need to do if you get a modular synth is forget the snobs and remember that modular synthesis can be for you about whatever you want it to be. There is no proper way to use a modular synth. That is why there are all those jack points and you need all those cables. You can connect it up any way you like and whatever works for you, works. Indeed, all that freedom openly encourages you to try out random things and see what noise (and often it might just be noise) comes out from your audio output. It is often said that you don't hear very much actual music from people who have modular synths. I think these critics mean actual pieces of music or songs. I think that is probably because a lot of people with modular synths are happy just experimenting with sounds and with the here and now. And this is a worthwhile task in itself. There is no compulsory endgame with a modular synth. It is, in many ways, just a sound lab. This is what I think is very attractive about modular synthesis. The only reason to have a synthesizer with lots of access points to the processes of synthesis all over the instrument is so that you can affect the processes in unexpected or unorthodox ways. (Alternatively, you might want something to happen in a predictable way by sequencing it, of course.) In this way you can create unique or unimagined sounds. And if that's all you ever did that would be perfectly fine. 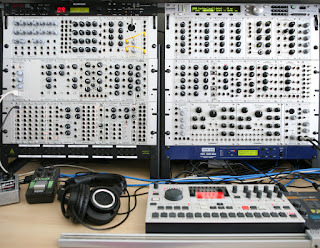 There are no modular synth police, just people too busy policing something that isn't theirs rather than making music. Life is short so I really rather think it would be better to see what happens if you plug a cable in from here to here and see what happens rather than shouting into the void. 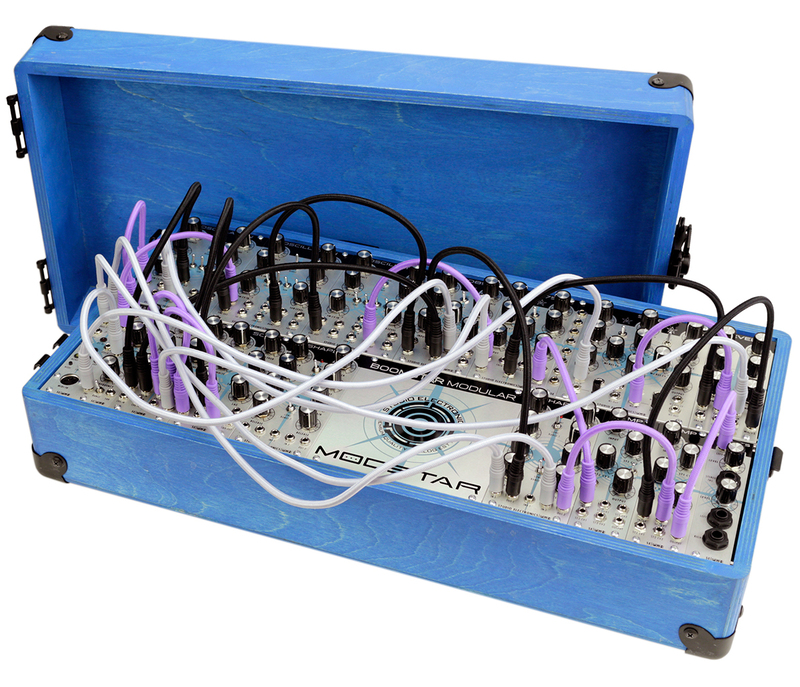 But yes, since you ask, modular synth enthusiasts can be cliquey. Luckily for you, having a modular synthesizer does not mandate that you have to talk to or listen to any of them. 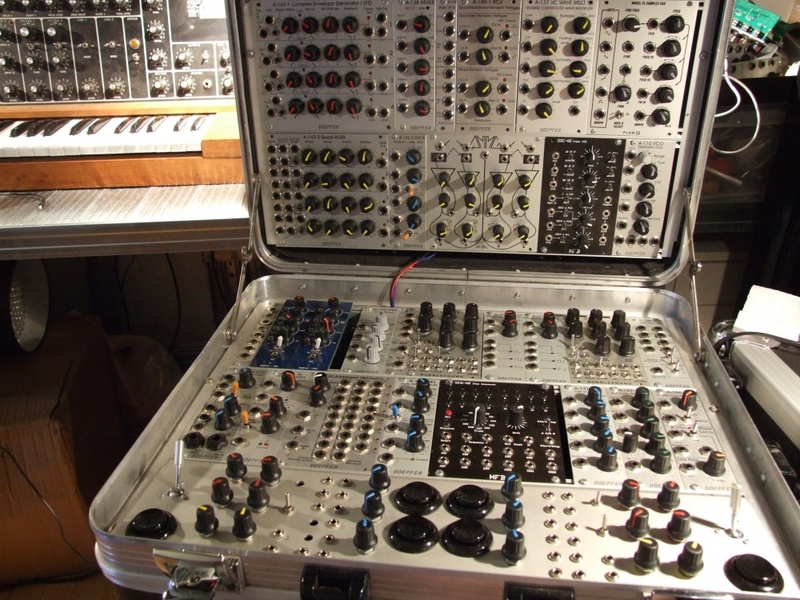 So what you do with a modular synthesizer is really up to you. The same goes for what your modular synthesizer is like. There are no rules here and you are free to choose from as many or as few manufacturers as you like. 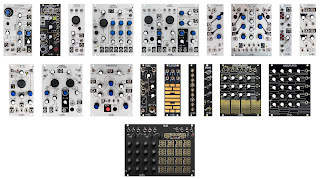 Nearly all the modules of a modular synthesizer are different in some way from the modules of other manufacturers and will produce different results even when, nominally, they are meant to perform the same tasks. The clever engineers who make these instruments love to put their own little twist on these things. This is why modular synthesis is such a fun and rewarding way to make music. Getting to know the modules you have at your disposal is a lot of the fun of having a modular synthesizer in the first place. 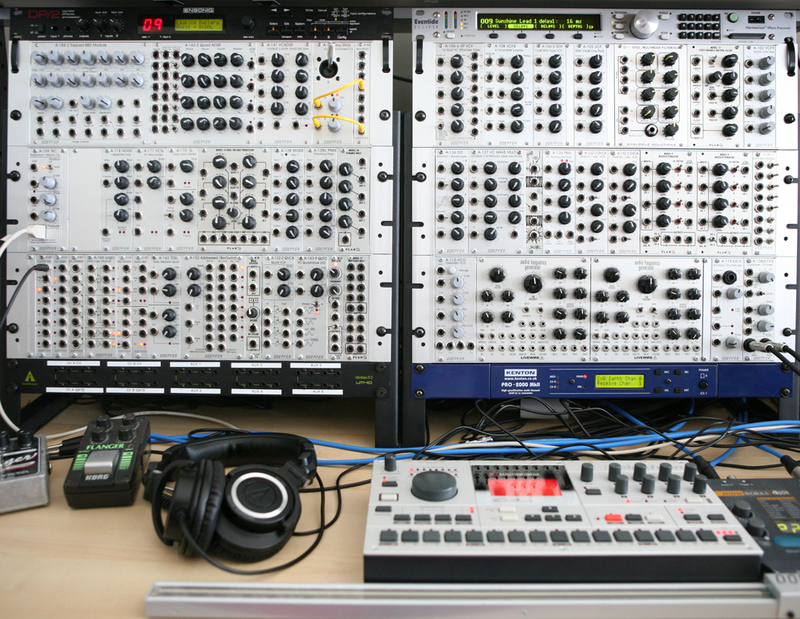 You are not stuck with a fixed instrument when you have a modular synthesizer. 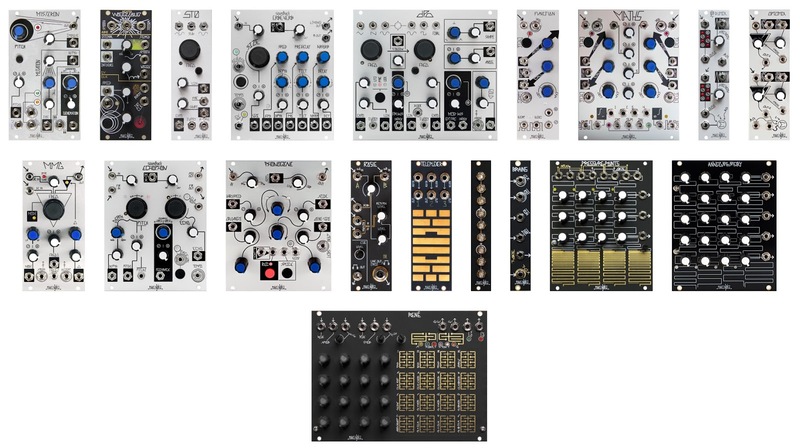 You can build an individual instrument, one that only you in the world has, by putting together a unique set of modules. 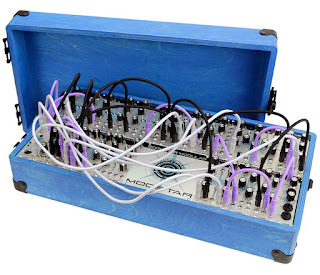 So a modular synthesizer is a way of making music with something approaching a blank canvas and can be very orientated towards musical exploration. You could use it to make unique sounds that you sample for use in bigger musical pieces. 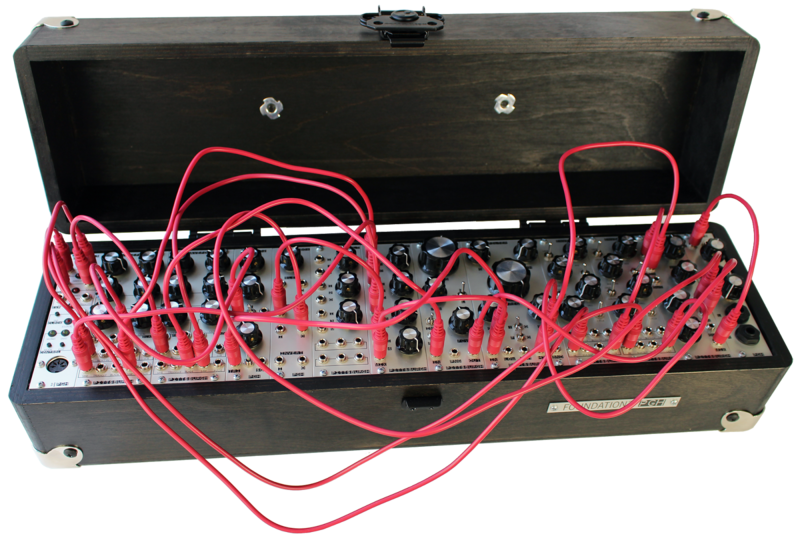 You could create a complex patch involving multiple modules that evolves over time as you tweak the controls. 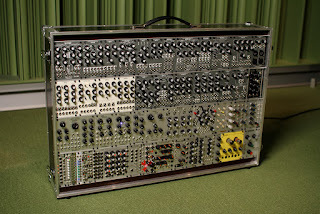 Or you could do anything else you can imagine with it because, with a modular synthesizer, it really is up to you. It's the ultimate "do-it-yourself" instrument whether you choose to have one that takes up a whole room or one that you can carry anywhere in a case. It's a way to combine fun, exploration and sound all into one happy activity. It's to be enjoyed not policed.